What is the Inbox? It's your Expensify To-Do List! I accidentally clicked "hide" or configured a step incorrectly. How do I go back? 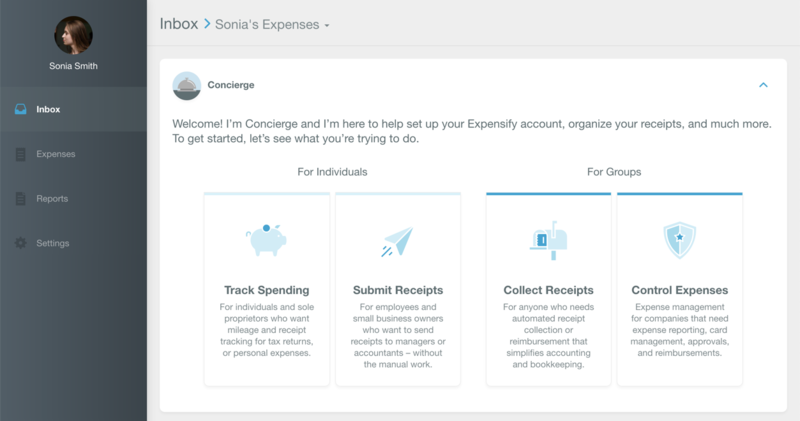 When you log into Expensify on the app or our website, Inbox is where you will find your to-do list for any reports or other account actions that need your attention. Need to approve a report or add a category? Forgot to reimburse an employee? Just getting started with your policy set up? We've got it all, nice and tidy, in a handy list. Head over to your Inbox tab to have a look! You can even take a peek when you're on the go in our mobile app! If you're first getting set up with Expensify, you may want to head to our "Day 1" page written just for you! Are you an individual user looking to simply track receipts on your own, submit reports, or approve reports? Start here: Day 1 for Submitters and Approvers. 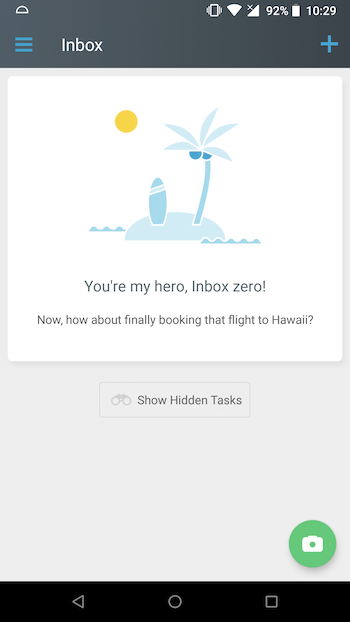 Concierge hangs out in your inbox, ready to guide you through your account setup so you don’t have to wonder what's next. Depending on the option chosen, you'll be guided through the proper account setup. Track: You will be able to start using your account for individual expense tracking right away. This free version will allow you 10 free SmartScans per month, and you can always upgrade! Collect: This policy is great for a company who needs simple receipt collection rather than expense reporting. It makes collecting receipts from your employees, coding them, and exporting your accounting software a breeze! Control: The Control option is great for a company who needs more control over how expenses are collected and submitted. With this policy you will be able to set up expense violations, complex approval workflows, company card reporting, and set strict submission rules. Inbox will highlight reports that require you to take action and describe what that action is. This includes report submission, approval, reimbursement, and export. Have multiple policies? We'll make sure to keep them organized so you can focus on one group at a time. Inbox was designed to notice all the things. If you skipped a step but had to leave the program, you'll come back and be reminded of what is still left to complete. For example, when you setup a reimbursement account, you'll also be reminded if it still needs to be validated. Isn't it fantastic when you check off everything on your to do list? We think so too! Click the link with the binoculars to re-configure that policy and reveal the hidden cards. Not seeing the right policy? Click the blue settings icon and then change your default policy in order to show the link for the correct policy.